Let’s face it, every workplace has at least one Costco enthusiast who brought in a massive bag of candy for Halloween. Chances are you’ve been snacking on mini Reese’s Pieces and tiny bags of Skittles despite your best intentions over the last couple weeks. That three PM sweet to carry you through to the end of the day is just so tempting. Though the calories in these bite-sized treats may be negligible, there is another downside to be aware of. Too much sugar can cause dehydration. When your blood sugar levels are high, your kidneys react by producing more urine to eliminate some of that sugar. This is more common in people with diabetes or who take certain medications, but if enough sugar is ingested, dehydration can happen to anyone. We know this instinctually, as eating too much sugar causes thirst and dry mouth. This is the body’s way of getting you to hydrate. But sugar isn’t the only culprit on Halloween. If you’re planning on hitting the town, your friend’s Halloween party or having a casual get-together at your place, you’re probably also planning on having a drink or four. As we discussed in our blog on The Effects of Caffeine and Alcohol, alcohol is notoriously dehydrating. Dehydration is the main reason you get a hangover after all. 1.Drink water throughout the day. Hydrating from the time you wake up in the morning means you won’t be making an existing problem worse come happy hour. Keep a bottle of water with you at your desk and try and fill it up at least twice before the end of the work day. 2. When you are craving a Halloween treat, drink water instead. The body often confuses hunger with thirst, so when you have a craving for something sweet, try drinking more water instead. This will prevent you from loading up on sugar as well which can contribute to overall dehydration. 3. Have a glass of water between each drink. Drinking a glass of water for every alcoholic beverage you consume is an excellent way to stay hydrated through the evening. Alcohol will make you lose fluids, but this will help compensate for some of that loss. Your head will thank you in the morning. 4. Drink more water before bed! You get the point by now. Drinking as much water as you can before you go to bed will help counteract any dehydration incurred by overindulgence. It can be hard to remember to keep drinking water especially when you are in the heat of the moment! If after a few drinks you forget your best intentions, then you will no doubt have a hangover waiting for you on the other side. But don’t worry! IV infusion therapy can help. An IV drip will totally refresh and rehydrate your body and mind by delivering fluids directly to your bloodstream. 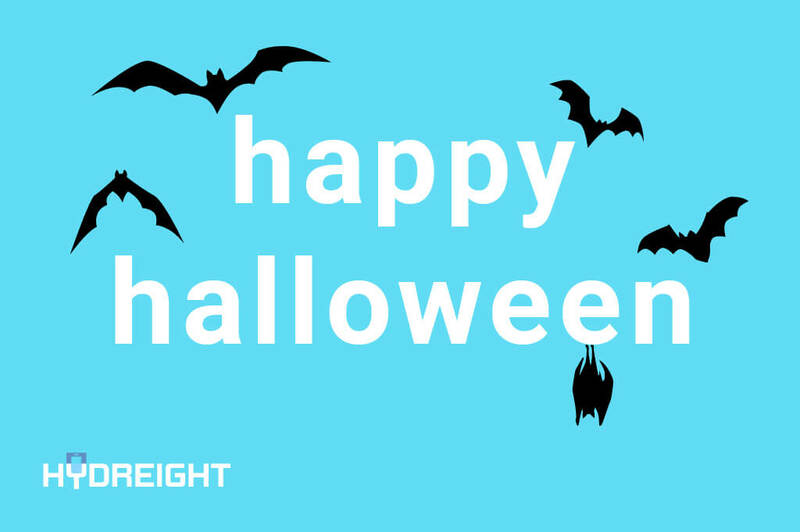 Treat your Halloween hangover with Hydreight! Download our app and book an IV Specialist to come to you. You’ll be feeling better in no time.